One of the most effective ways to convince readers to spend time on your site is to tell a story about a person. But, you just opened a terrific new restaurant you say? Oh, or what about your ingenious new app that will change the way I order my coffee? Well, wouldn’t you rather read what dish someone enjoyed or how some uses your app in a way you never thought of? Of course! People prefer to read about people. Let your associates, clients, and partners be the lens through which you digital visitors get to know you and what you do. Here are 7 lucky tips to make your website’s content more people-centric. 1) Who led the way? 2) Who showed initiative and accomplished the unexpected? 3)What obstacles did they overcome? 4) Did they grow or change in the process? 5) How does their work and family related to your brand or business? 6) Does what they accomplished elevate their status? 7) Who has a unique insight (a mechanic on whether the newest hybrid car is worth the money)? See, it’s fun. You can do it yourself. If you want to introduce a new product, introduce the inventor or a key person on the development team with an interesting backstory. Is your nonprofit or business approaching a milestone? Let’s meet customer 10,000 and find out why they’re your client. A site that does this masterfully is Good Eggs. Every product has a face. Every face has a short backstory. The site’s stunning photos are worth the visit alone. Then there is the recurring Google doodler story. Google couldn’t have scripted this better. We all know the Google doodles, right? Here are the faces behind the creations, some of them just out of college. Talk about making your brand relevant. When you find yourself rushing headlong to your keyboard with the idea of publishing something based on a topic or factoid, ask yourself what the story is. What is the beginning, the middle and the end. A story needs characters and, usually, tension or at least a resolution. Just today, I was handed a letter composed by two faculty members from the university where I work. It was the letter they had sent out to solicit donations for their planned ascent of Mt. 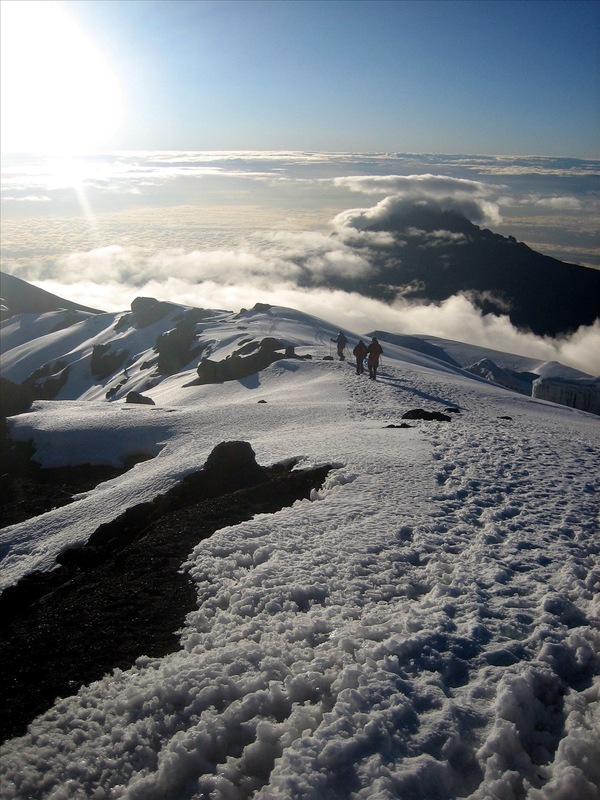 Kilimanjaro this spring. “Dear, Ms. Smith,” it started out. We’re out to fight cancer and we’ve been campaigning for months… With your help, we’ll be able to raise… In the last paragraph, the duo explained that they planned to raise money through people sponsoring them to climb Mt. Kilimanjaro. Whoa! Put the brakes on. That should be the first sentence. That’s the story. From there, the beginning (how the faculty members made that decision), the middle (what they’re doing to prepare), and the end (successfully making the ascent or not) writes itself. Comments Off on What’s your story?